In its 04/2011 issue, the German car magazine AutoBild Sportscars has published the summer tyre test 2011. The German magazine Auto Zeitung published its summer tyre test 2011 (issue 5/2011). Test size was 225/45 R17 W/Y, test vehicle was an Audi A3. The eagerly awaited results of the summer tyre tests carried out by leading motoring organisations in Germany, Austria and Switzerland have now been published. 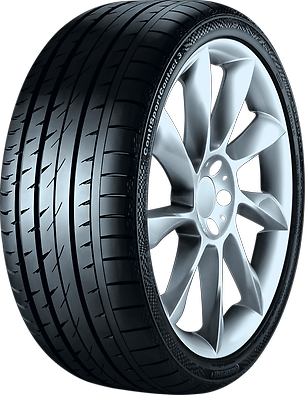 These reveal that the ContiSportContactTM 3 in the size 225/45 R 17 W/Y was rated as 'highly recommended'. In its 04/2009 issue, the German car magazine sport auto has published the summer tyre test 2009. In its 11/08 issue, the German car magazine AutoBild has published the summer tyre test 2008. Tested dimension 225/45 R 17 W/Y.